ISL 2018-19: Jamshedpur back in contention for playoff spot with win over Mumbai. The Islanders did not look like wanting to force the issue while Jamshedpur did exactly that to come right back into the play-off mix. 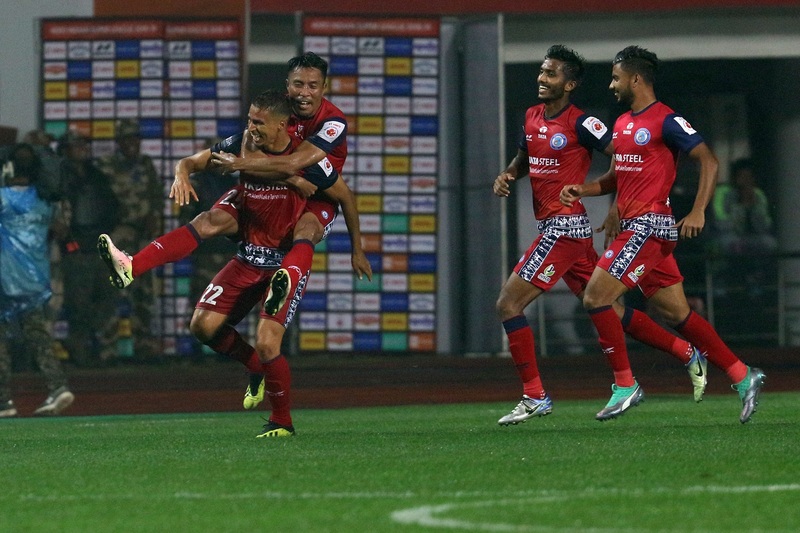 Jamshedpur: Jamshedpur FC, who looked like faltering in their bid to qualify for the play-offs, have come right back into it after a crucial 1-0 win over Mumbai City on Friday night. Cesar Ferrando's men could have potentially ended their play-off bid had they not picked all three points from this fixture. And the team looked well aware of the fat, judging by the way they played the game out. As expected, they did have the upperhand when it came to possession. But after failing to force a goal in the first half, the Men of Steel just upped their ante. Pablo Morgado and Mario Arques became increasingly involved in midfield as they kept Mumbai City pinned to their own half. The Islanders were subject to continuous pressure and did not help their cause by giving away cheap fouls despite knowing the fact that Jamshedpur are lethal in set-pieces. The home team players were also not averse to going down at the slightest touch to allow Arques and Sergio Cidoncha to send in dangerous deliveries. And their perseverance in playing to their strength paid off towards the end. The match-winner did come through a set-piece. Rafael Bastos committed a needless foul on Morgado and conceded a free-kick, knowing well that Ferrando’s team thrive in deadball situations. Sergio Cidoncha’s delivery into the box saw a weak punch by Amrinder Singh and the ball went as far as Memo, who was afforded all the space and time by Raynier Fernandes, to head home. Amrinder misjudged the flight and direction of the ball and should have done better to avoid the ball nestling into the net. Jorge Costa has got it wrong in the last two matches. Mumbai City FC succumbed to a 0-2 defeat at the hands of FC Goa and followed it up with a tame 0-1 loss at Jamshedpur. The Portuguese tactician fielded Anwar Ali in the heart of Mumbai defence, a move which failed spectacularly. Also the ploy of deploying Matias Mirabaje as part of the front three didn’t work as the Uruguayan is a central midfielder by trade. Against Jamshedpur, they didn’t have Arnold Issoko and Bipin Singh was part of the attacking trident. However, the former ATK winger was anonymous for most parts and didn’t offer any threat whatsoever. Although he rested Subhasish Bose, who is on three yellow cards, Costa would be forced to include him back in the starting XI against NorthEast in order to confirm their berth in the top four. Paulo Machado looked off colour as well with his free-kicks not being on target and Modou Sougou, who was returning into the team after a knock, couldn’t hold the ball upfront and bring the midfielders into play. Mumbai can ill afford to rest on their laurels as they come up against NorthEast United, who are in desperate need for points as well. They also travel to Kolkata to take on Steve Coppell’s ATK, who seem to have found their mojo and end their league season against FC Pune City.